· The maximum amount of deductible mortgage interest has been decreased for new (after 12/14/17) mortgages. The amount is based on how much of a balance you have on your mortgage(s), now up to $750K (formally $1M). 'Old' mortgages will stay at the $1M cap. The mortgage cap still includes both first and second homes. Yay! 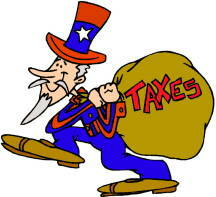 · There is a now a maximum dollar amount of State and Local Taxes (SALT) that can be deducted. That maximum is $10K. This will dramatically affect those folks who live in high tax states. Generally speaking, this includes Massachusetts. The good news is that Eastham and the Outer Cape have relatively lower local taxes. · Capital Gains rules for the sale of your primary residence remain unchanged. This is - you get a $250K ($500K if married and filing jointly) capital gains exclusion if you sell your primary residence that you've lived in 2 of the previous 5 years. · IRS 1031 Like-Kind Exchanges, for residential rental properties, remain unchanged. · Home equity loan interest will no longer be deductible. · Folks who live in high tax states may actually pay more Federal income taxes and have less disposable income to purchase a second home (unless they choose to make their new property a rental property). · There are a lot of pieces and parts to the new tax code above and beyond what I have highlighted. My expectation is that it'll take some weeks for many folks to sort out what it means to them. My February 2018 newsletter is available for download. This issue has my year-end 2017 market report. 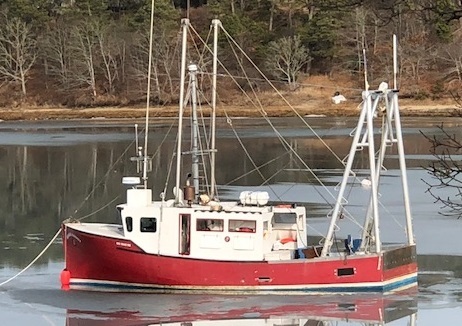 Also in this newsletter is my 2018 projections, the new Federal tax plan, a story on Nauset Newcomers, and a buyer testimonial. It also contains a link to my third video newsletter.